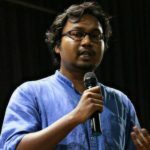 Founder and Editor of Adivasi Resurgence. Akash belongs to Koitur (Gond) tribe from Balrampur, Chhattisgarh. He is an independent researcher and has written on a range of Adivasi/Tribal issues. The tradition preserved by the ruling family of the erstwhile state of Raigarh maintains that the Raj Gond family migrated to this region from Bairagarh/Wariagarh of Chanda district of Maharashtra state about the beginning of the eighteenth century and first stayed at Phuljhar in Raipur district. From there Madan Singh, head of the family migrated to Banda of the present day Raigarh. The successor kings of Raigarh state after Maharaja Madan Singh were Maharaja Takhat Singh, Maharaha Beth Singh, Maharaja Dilip Singh, Maharaja Jujhar Singh, Maharaja Devnath Singh, Maharaja Ghansyam Singh, Maharaja Bhupdev Singh, Maharaja Natwar Singh and Maharaja Chakradhar Singh. Truly speaking music, dance, and literature got fillip during the reign of Maharaja Bhupdev Singh and developed further during the rule of Maharaja Chakradhar Singh. Maharaja Chakradhar Singh Porte was born on 19th August 1905 and succeeded throne on 23rd August 1924 after death of his brother Raja Natwar Singh in 1924. He was king Raigarh from 1924 to 1947 and chief of Bargarh ruled by Gond dynasty. He completed his education at Rajkumar College, Raipur where he learnt literature, English, Sanskrit and Music. He himself was a great musician (Tabla) gathered devout persons from different field like Music, Literature and Dance. He was extremely fond of dance and music and it was his passion for the arts that put Raigarh on the cultural map of India. A patron of Indian arts, classical dance, and music who invited artists across the country to perform in his court. He gathered devotees from various fields like music, literature, and dance. Some of the famous people among his devotees were: Pt. Jagannath Prasad (Jaipur Gharana), Pt. 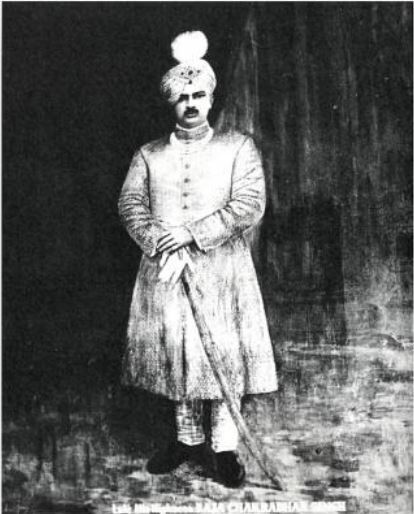 Jailal, Guru Kalka Prasad (Lucknow Gharana). 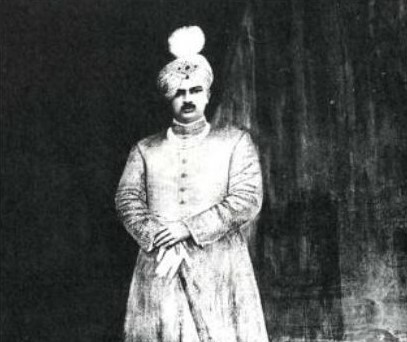 As Raja Bhupdev Singh was a connoisseur of music, Raja Chakradhar Singh’s childhood was spent in an atmosphere conducive to the cultivation of fine arts. Music, dance and literature saw a flourishing period during rule of Maharaha Bhupdev Singh and developed in entirety in the era of Chakradhar Singh. His uncles were expert in playing percussion instruments, Narayan Singh was a gine pakhavaj player, while his younger brother, Pilu Lal, was an expert table player. Raja Chakradhar Singh wrote a number of books on fine arts including `Nartamsarvaswam’, considered the Bible of dance. He wrote books in Hindi and Urdu. The books Kavya Kanan, Mayachakra, Ratnakar, Ramyarasa, Josh-e-Farhat, Alkapuri (in three parts), Nagma-e-Farhat and Bairagadiya Rajkumar reveal a mind which was seeking creative expression through not only dance but also through poetry and prose. One of the most important contribution of Raja Chakradhar Singh is the treatise he compiled with the help of scholars on music and dance. They are voluminous and their sheer bulk is staggering. The treatise on dance Nartan Sarwaswam weights six and a half kilograms. Besides this, Raja compiled other treatises on tala and intricate aspects of its manipulations, with diagrams, Talatoyanidhii, a massive treatise, weighs thirty-six kilograms. Talabalapushpakara is another weighty volume, weighing three and a half kilogram, devoted to the composition of tabla. He wrote many books related to dance/music and some of his works are- Taal Bal Pushpakar, Raag Ratna Manjusha, Taal Tayonidhi, Muraj Paran Pushpakar, Nartan Sarvaswam, Jashe Pharhad, Nigare Pharhad, Prem ke Teer, Mayachakra, Ratnahar, Kabya Kanan, Bairagadiya Rajkumar, Alkapuri, Teelasmi, Mrignayani, Ramyaras. He was a famous exponent of Katthak. He created a new dance form by taking things from other forms of dance. Raigarh Gharana is now well known gharana in the world of dance. He organized and participated in famous music conferences. Pt. Jagannath Prasad from Jaipur Gharana was the first guru of his Kingdom, who taught Kathak for 3 years, followed by Pt. Jailal in 1930. In 1938 he headed the first All India Music Conference held at Allahabad, where he went with his team of 60 artists. In 1939 an all India level Music conference was held to welcome Viceroy, in which Maharaja Chankradhar Singh played Tabla for the kathak dance presentation of Kartik Kalyan and He was rewarded as “Sangeet Samrat” by Viceroy Lord Linlithgow. In 1943 another music conference was held at Khairagarh of Chhattisgarh where Kartik Kalyan and Chakradhar Singh performed again. He died on 7th October 1947, just after the independence of India. 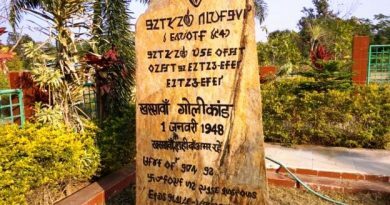 After his death his son Lalitkumar Singh succeeded him for brief period until Raigarh state was merged into union of India on 14 December 1947. The princely states of Jashpur, Raigarh, Sakti, Sarangarh and Udaipur were united later to form the Raigarh district. With the demise of Raja Chakradhar Singh, the patronage given to the artistes was withdrawn and on account of the changed circumstances the dancers and musicians found it difficult to live in Raigarh. Kartikram and Kalyan faded away. Kalyan took to teaching and was with the Khairagarh University. Madhya Pradesh Kala Parishad undertook the project of reviving Kathak of Raigarh durbar and a dance academy named after Raja Chakradhar, as Chakradhar Nritya Kendra was established in Bhopal. 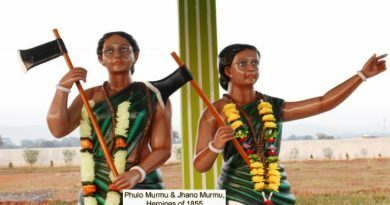 Chakradhar Singh patronized Brahmins during his rule like many Raj Gonds, but also did not give up his tribal identity and roots. His legacy and history has been appropriated by Brahmin musicians and a festival in organized on his birth anniversary in Raigarh, during Ganesh Chaturthi (with no logical explanation, obviously!). Each year it is jointly organized by Chakradhar Lalit Kala Kendra and Ustad Allaudin Khan Sangeet Academy, with the co-operation of the district administration. While the literature and arts endeavors of Raja are much celebrated, there is never an iota of mention about his ancestry to Gond tribe. A scholar tribal king, he championed in arts, literature, taught and contributed significantly to ‘Indian’ classical music and dance. District Census Handbook, Raigarh, Census of India 2011. This post has already been read 845 times!